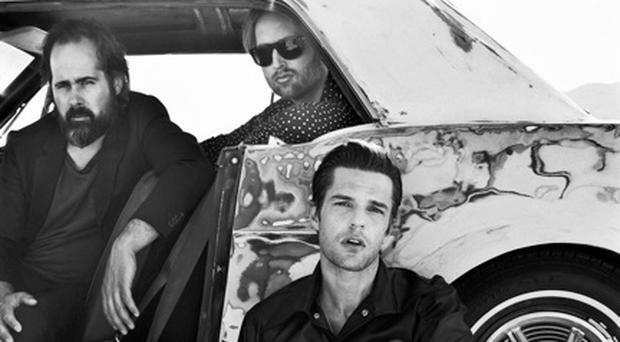 The Killers will perform a huge open-air concert in Dublin later this year with special guests Franz Ferdinand. The rockers will take to the stage at the RDS Arena in the city on Tuesday, June 26. Tickets go on sale from Friday, 23 February at 9am from all usual Ticketmaster outlets. The Killers last performed in Dublin in November when they sold out the 3Arena in a matter of minutes. The Las Vegas band has been awarded a number of accolades throughout the years, including multiple Brit Awards, Grammy nominations, American Music Award nominations, MTV Video Music Awards, NME Awards and more. They have sold over twenty-five million albums worldwide, and headlined all of the world’s top festivals - Coachella, Lollapalooza, Glastonbury - and released their fifth studio album, Wonderful Wonderful, in September 2017. The album gave the band a record-breaking fifth consecutive number one in the UK, and singer Brandon Flowers’ seventh UK number one overall, since his two solo albums both also topped the charts. Wonderful Wonderful also went straight to Number 2 in the Irish album charts. The Killers have a huge back catalogue of hits that includes Mr Brightside, Somebody Told Me, When You Were Young, Human and most recent hits, The Man and Run For Cover.